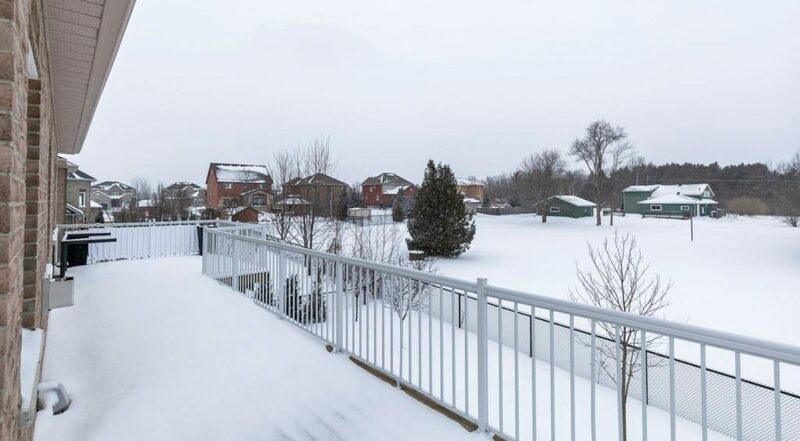 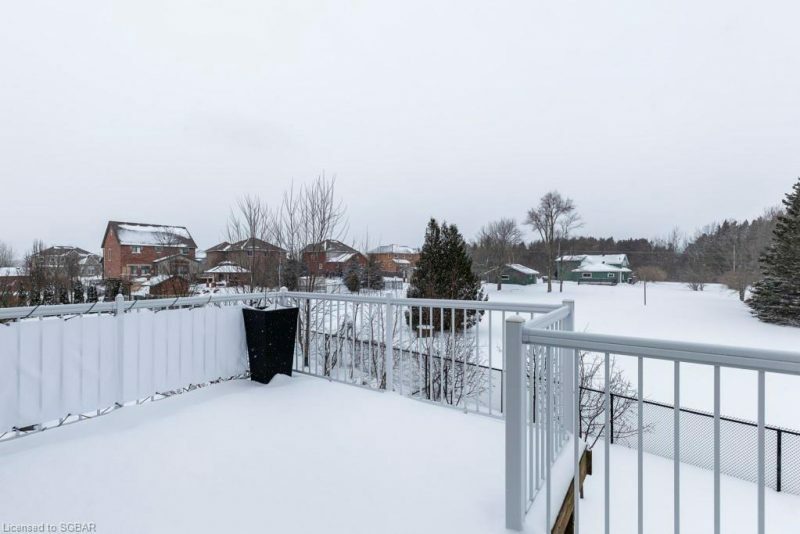 A real estate photo in Collingwood, Ontario taken by Elevated Photos Canada. 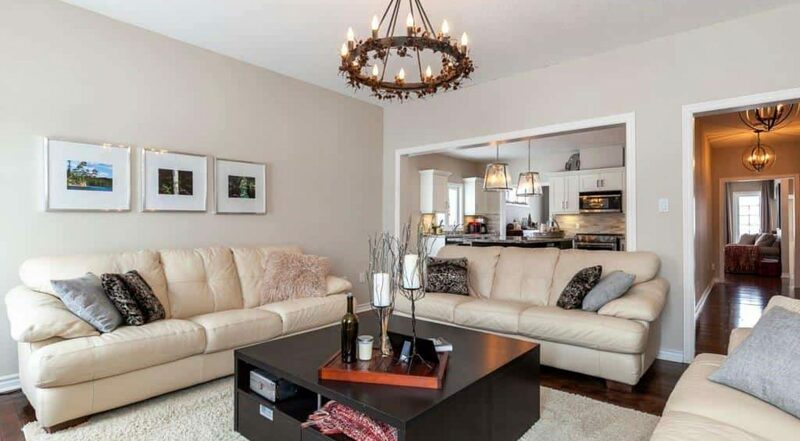 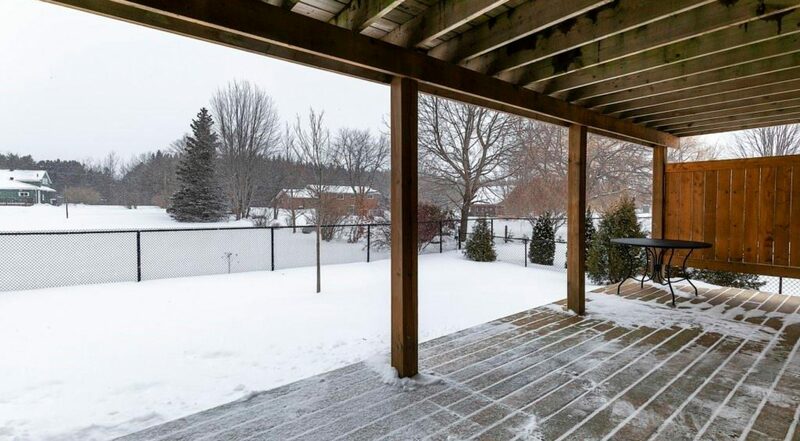 Beautifully maintained and updated family home in desirable Mair Mills. 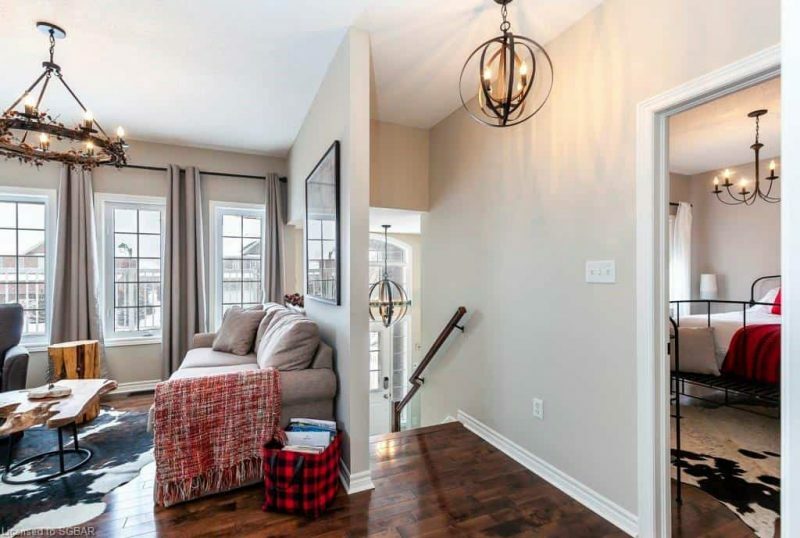 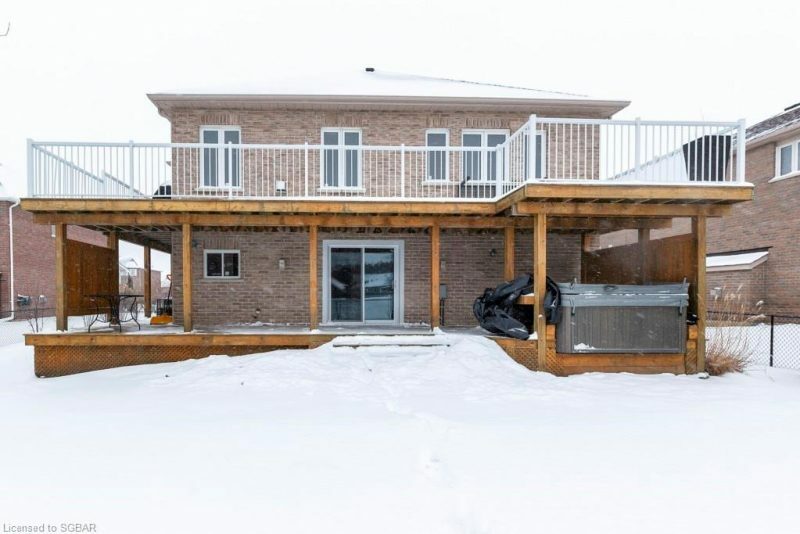 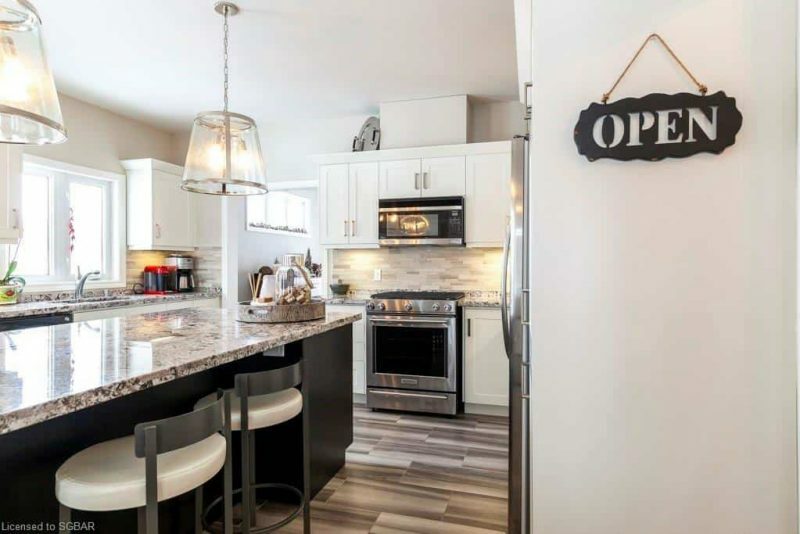 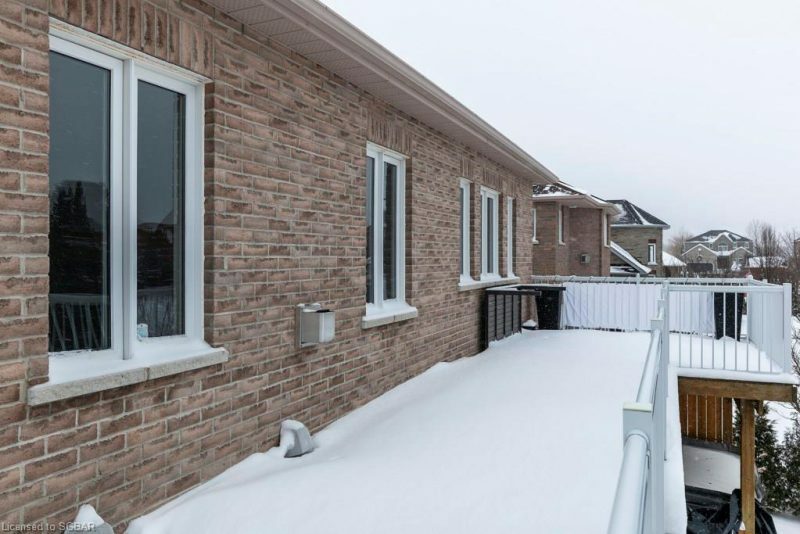 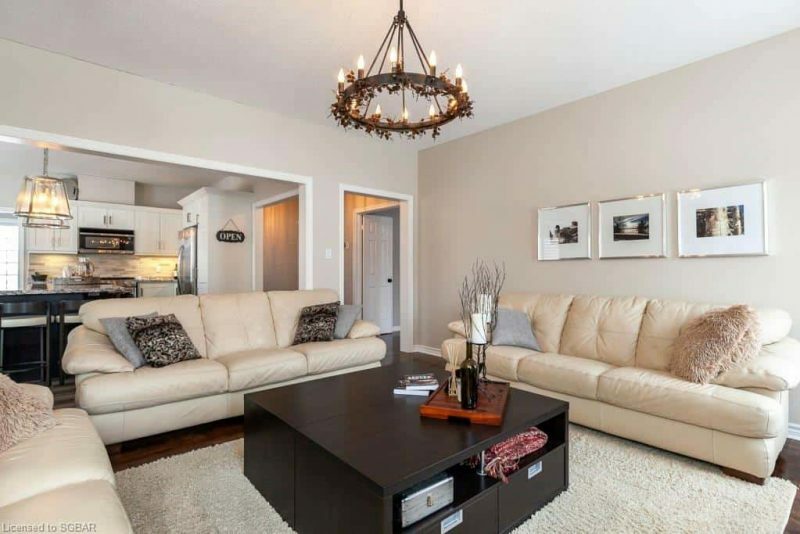 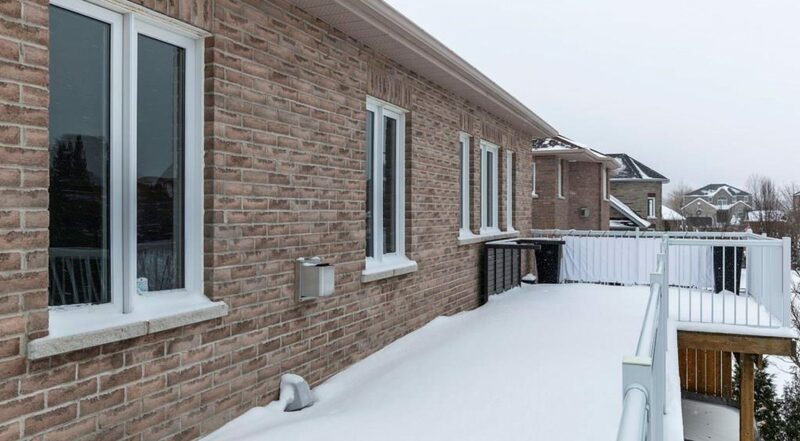 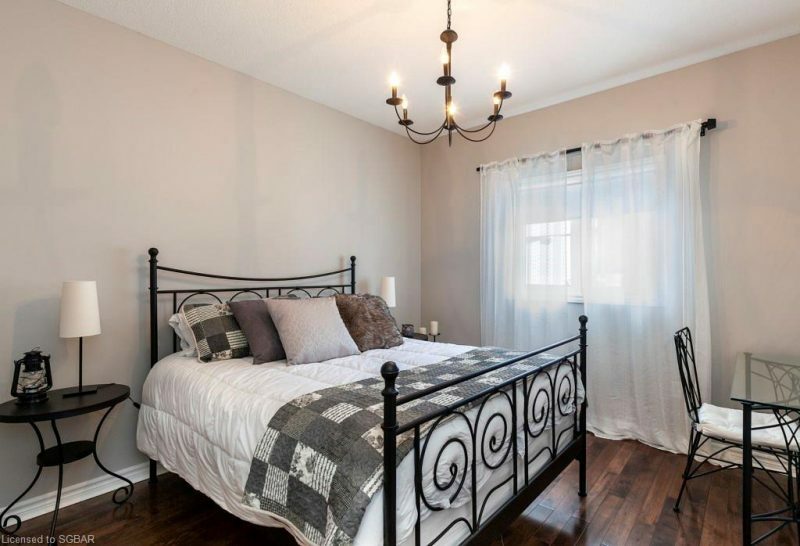 This brick raised bungalow with 3 + 2 bedrooms and den can easily accommodate a multi generational family, or is appealing to those seeking space for family gatherings and entertaining. 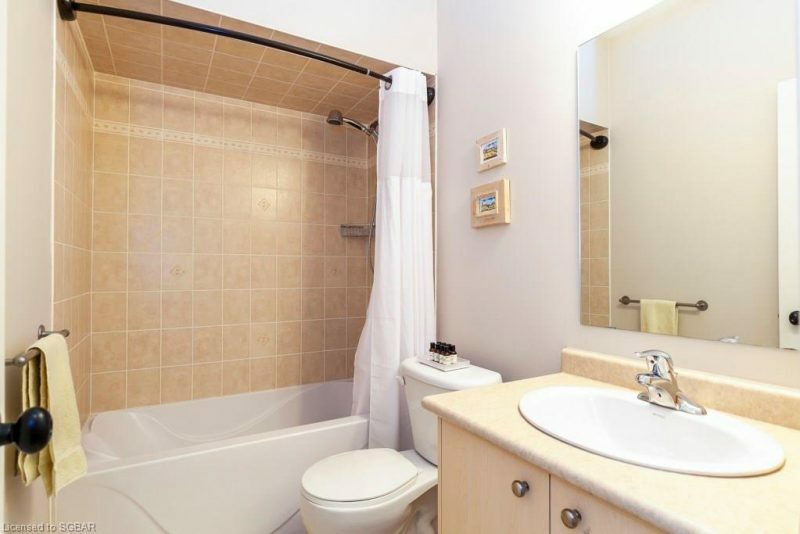 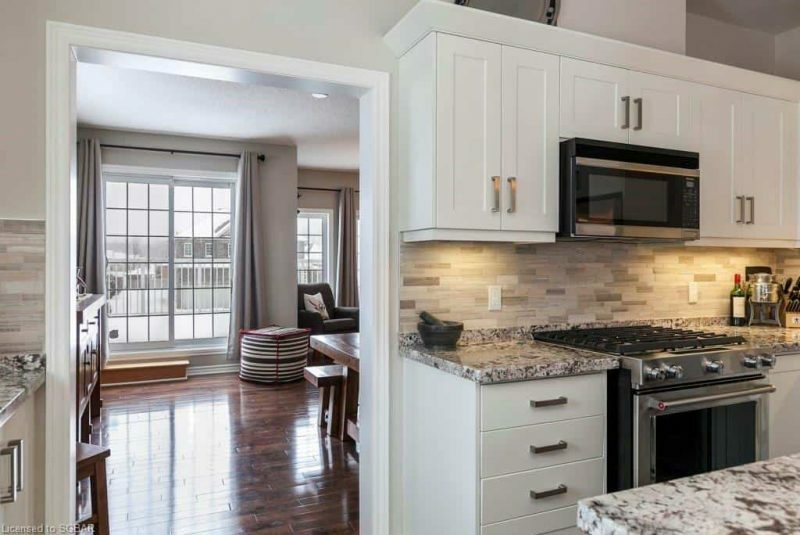 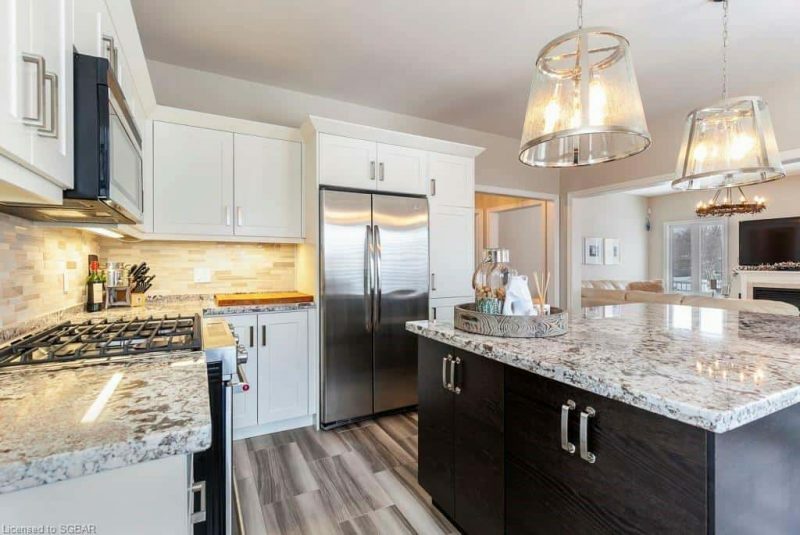 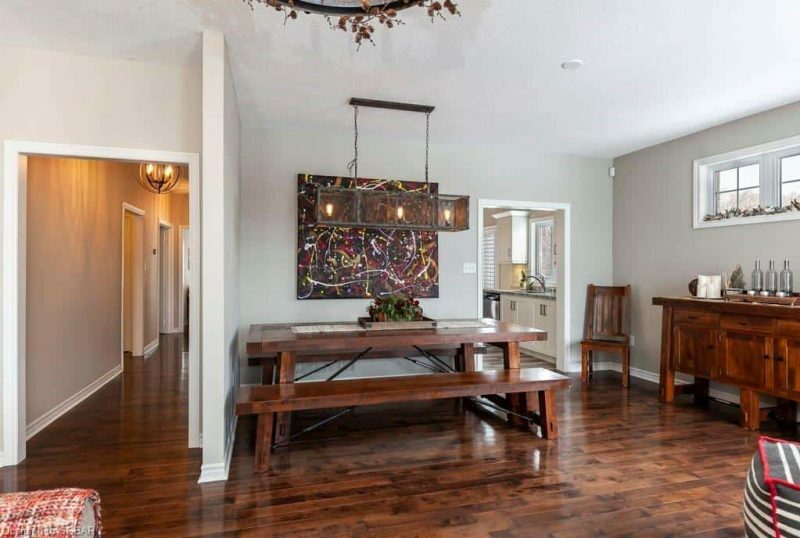 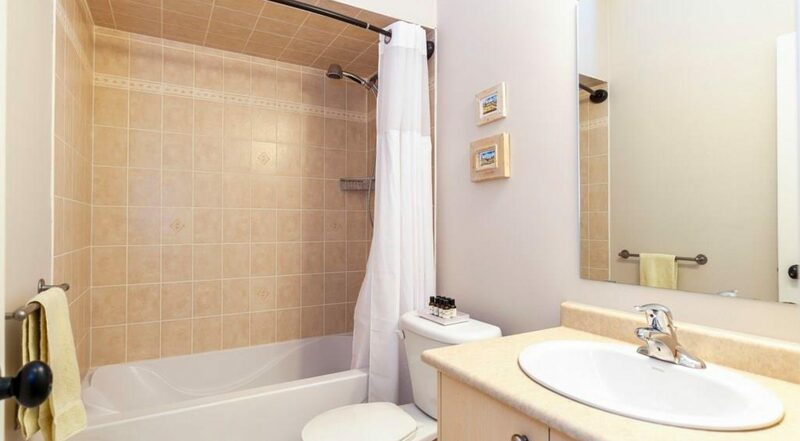 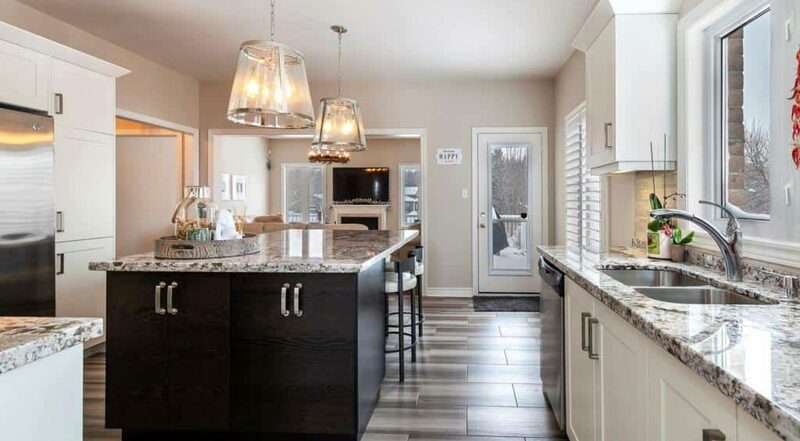 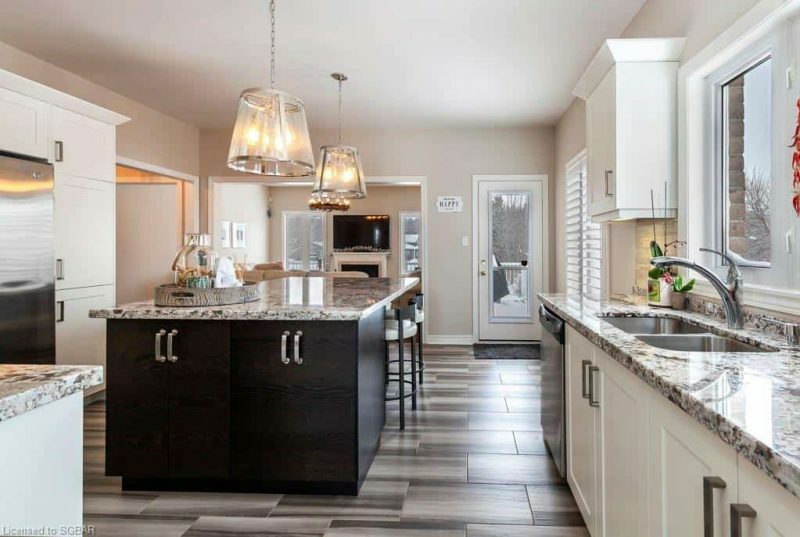 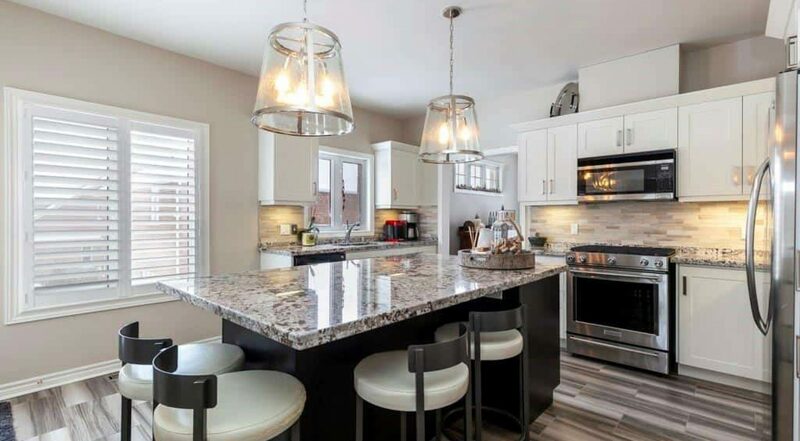 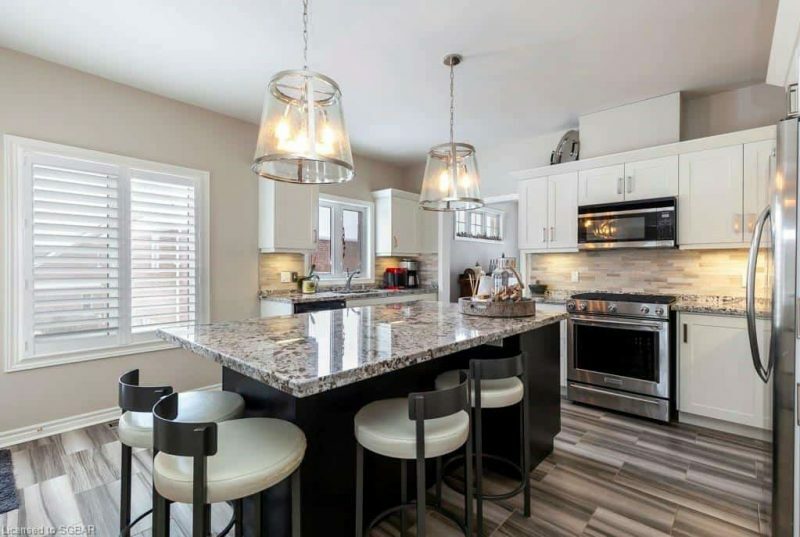 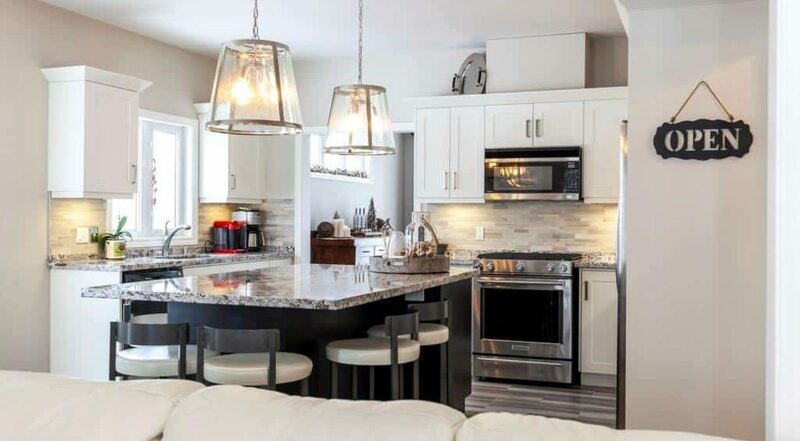 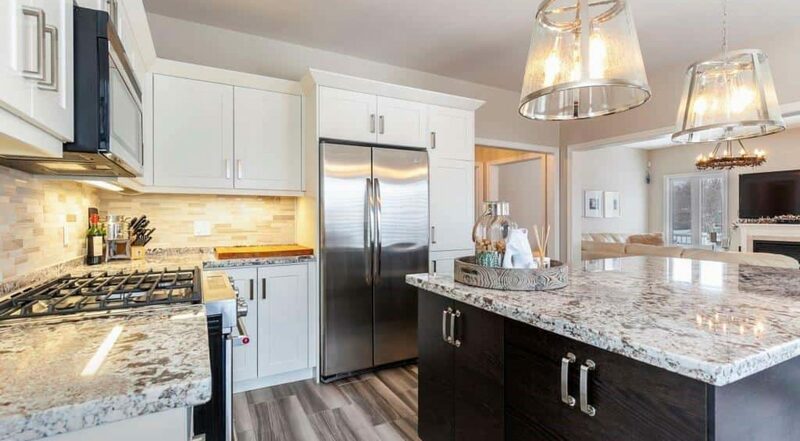 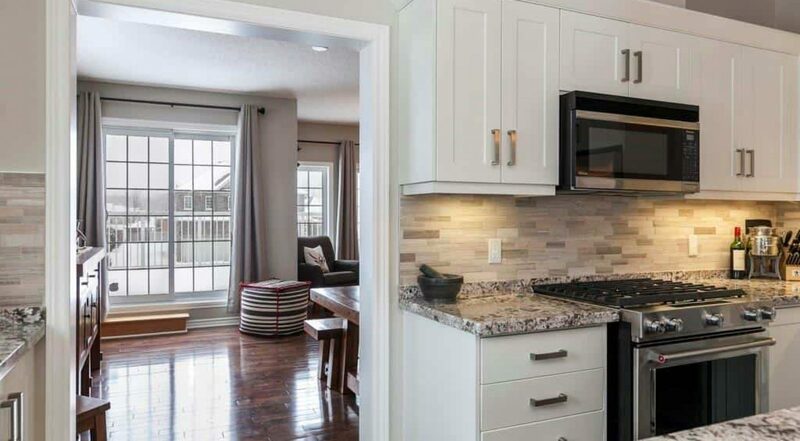 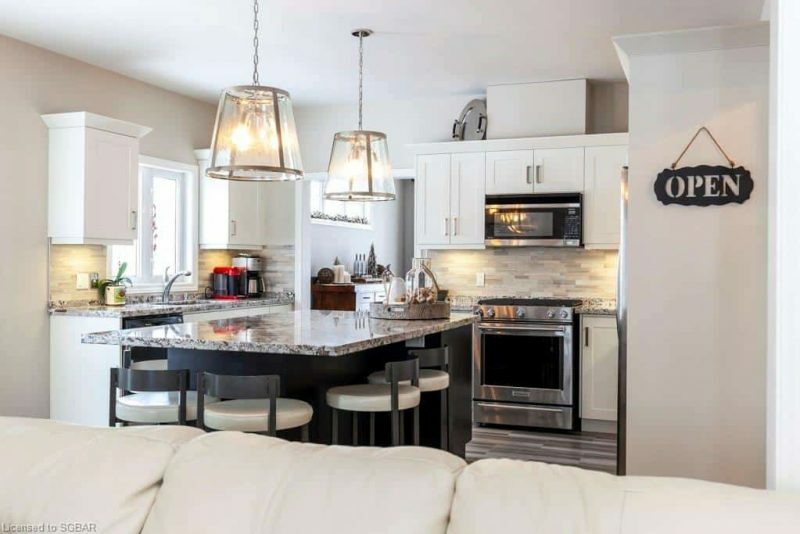 Recent updates including new cupboards, new lighting, tile work enhance the warm and inviting flow of the home. 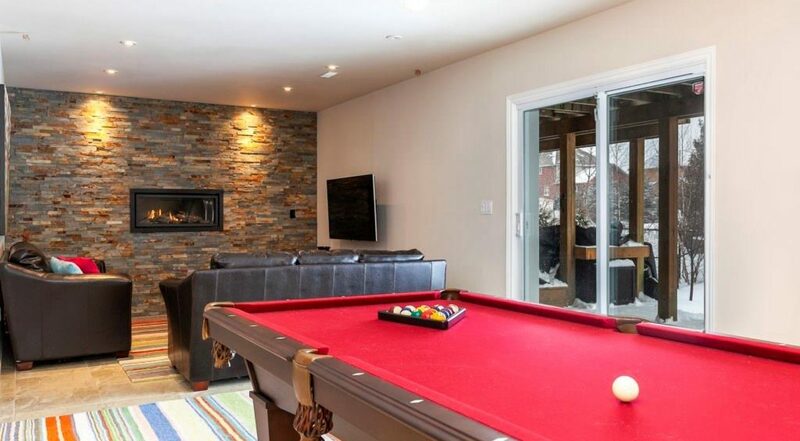 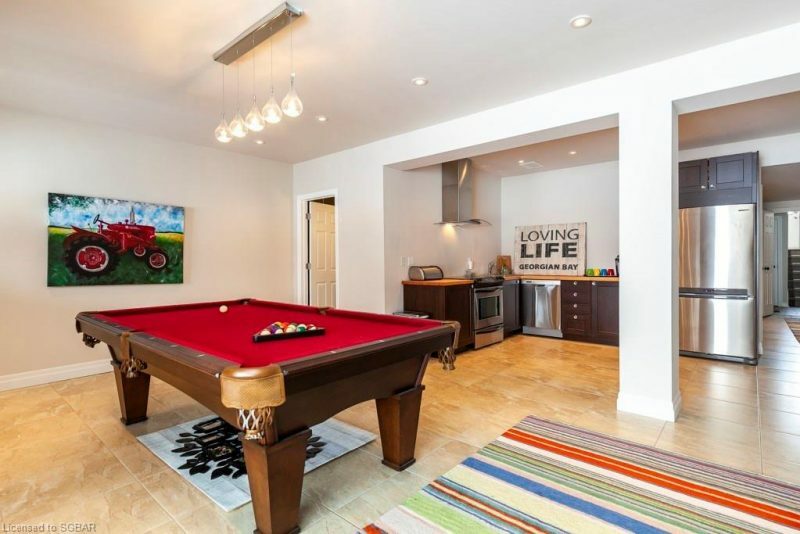 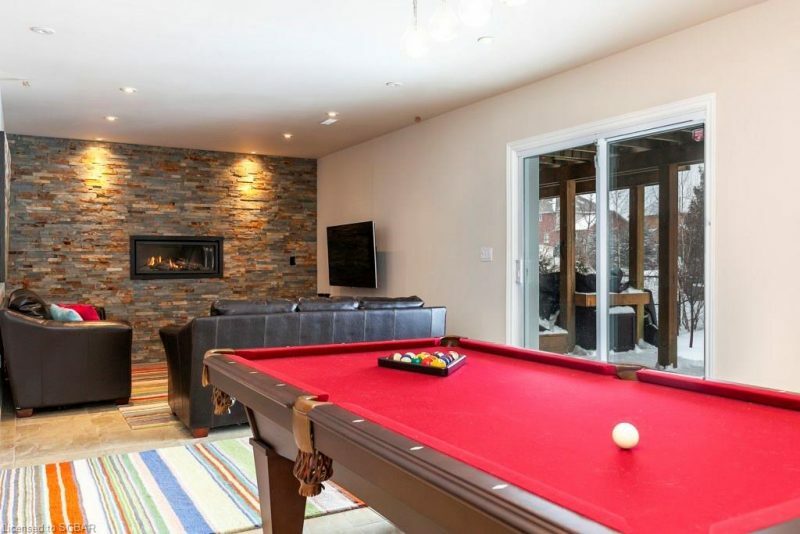 The lower level offers a second kitchen, spacious games room and a walkout to the back yard with hot tub. 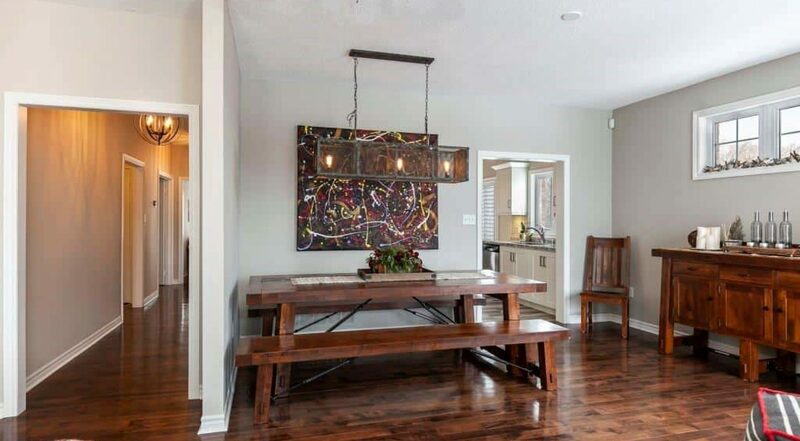 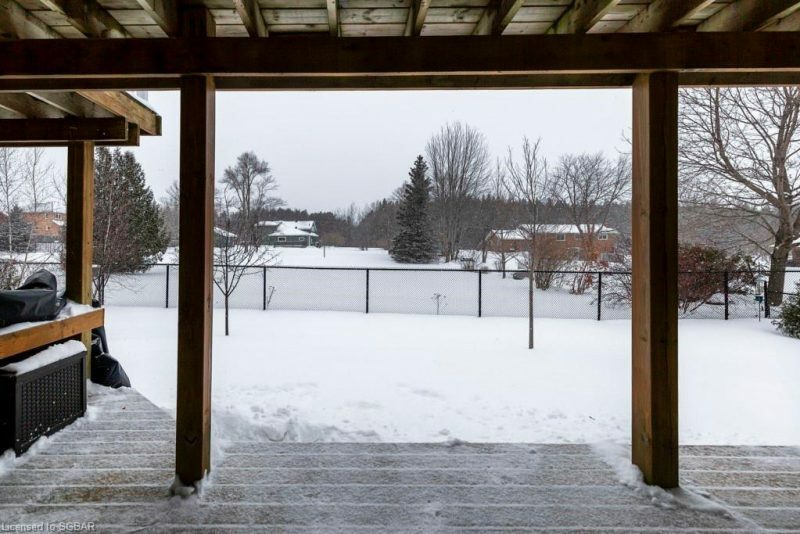 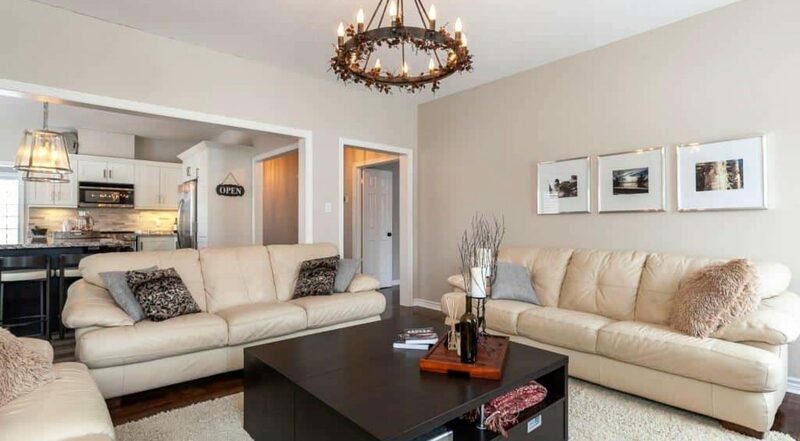 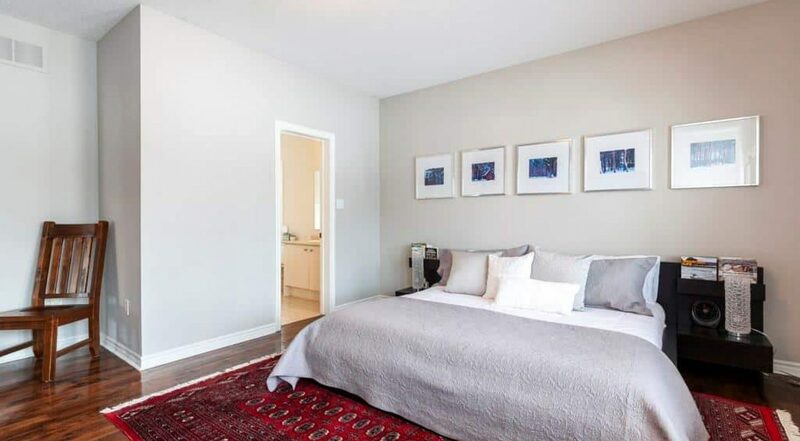 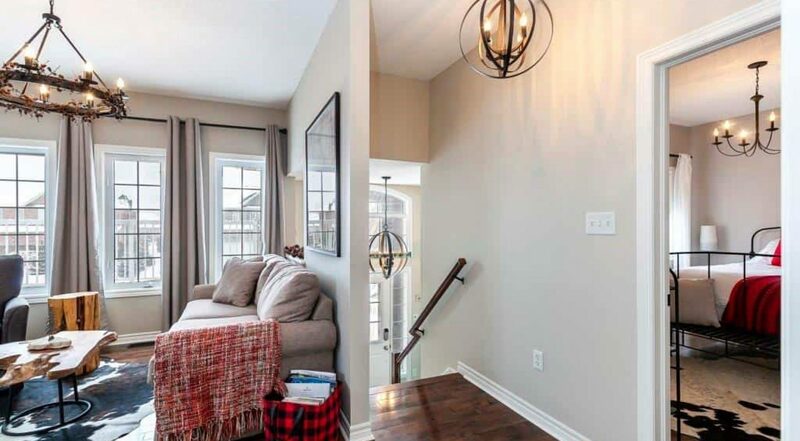 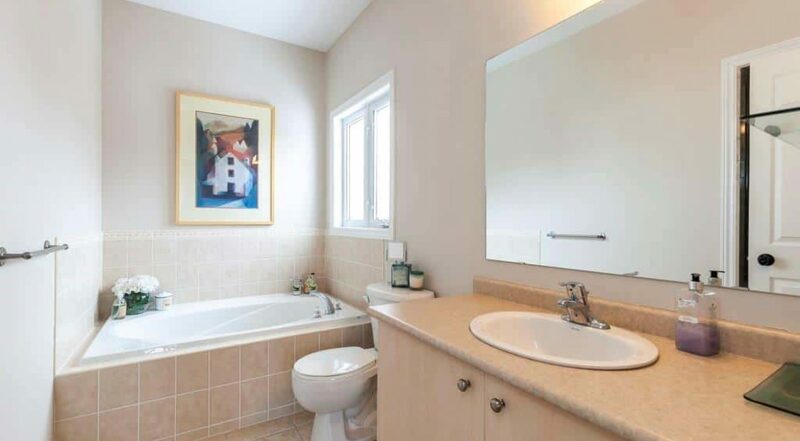 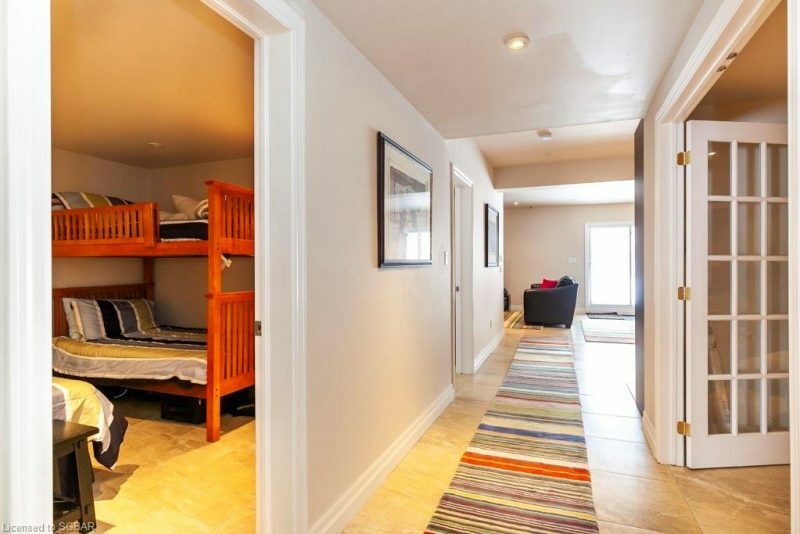 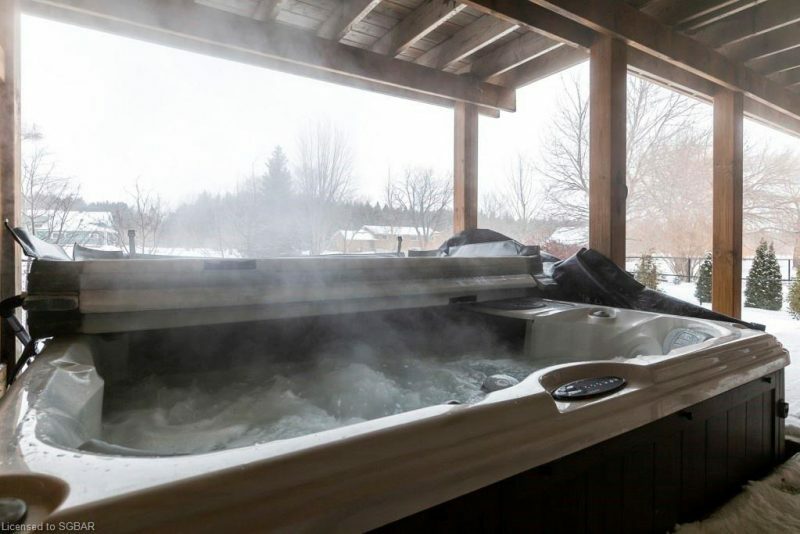 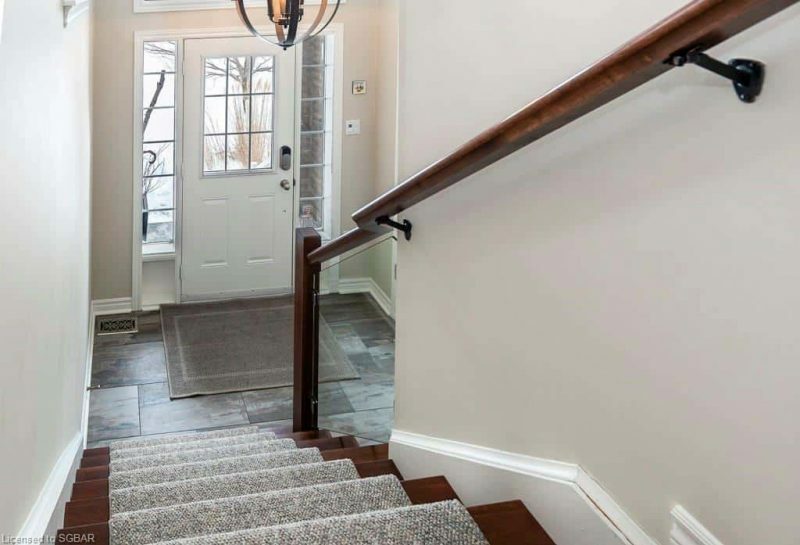 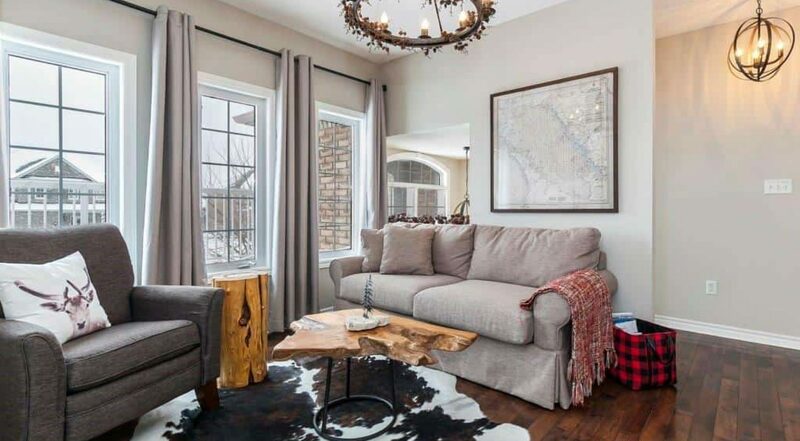 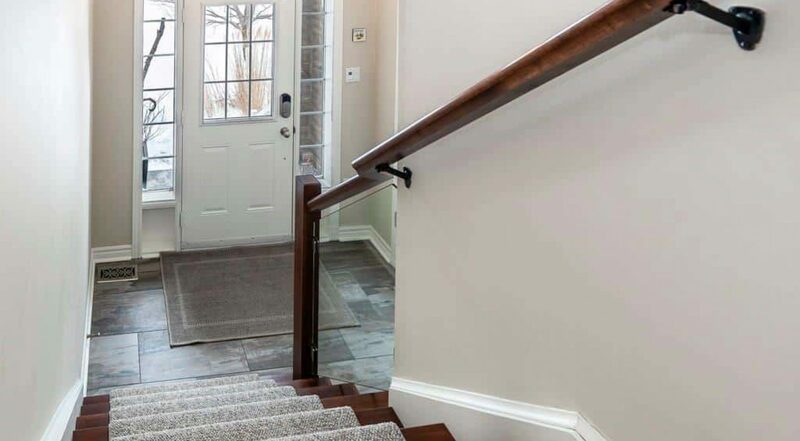 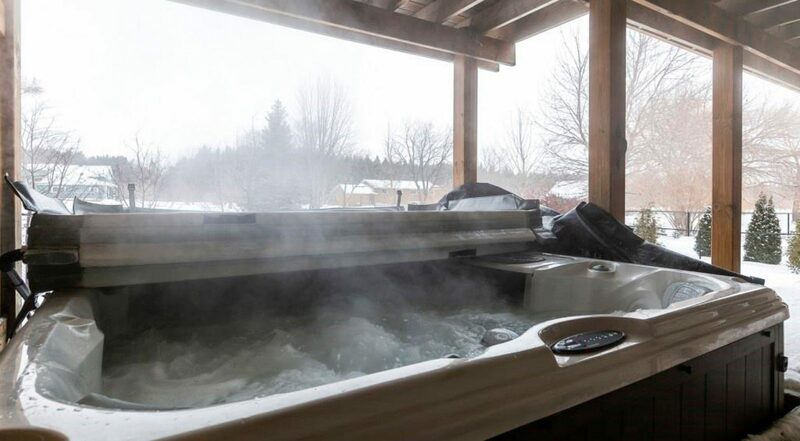 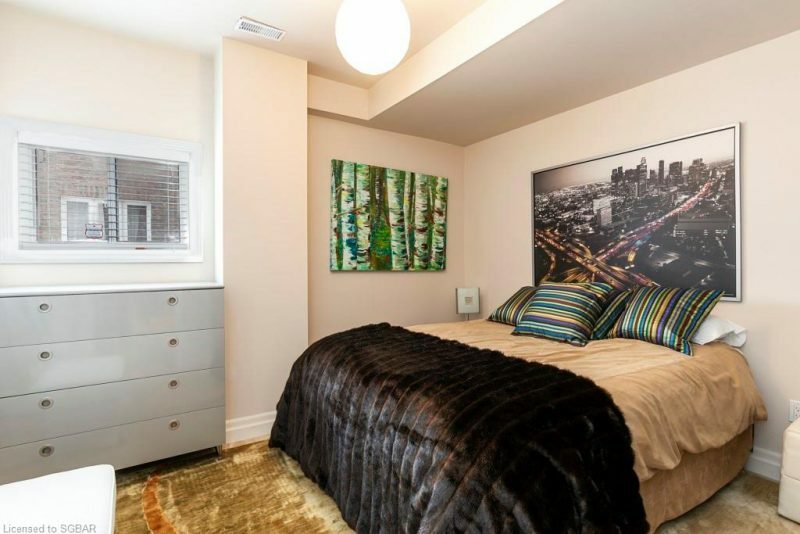 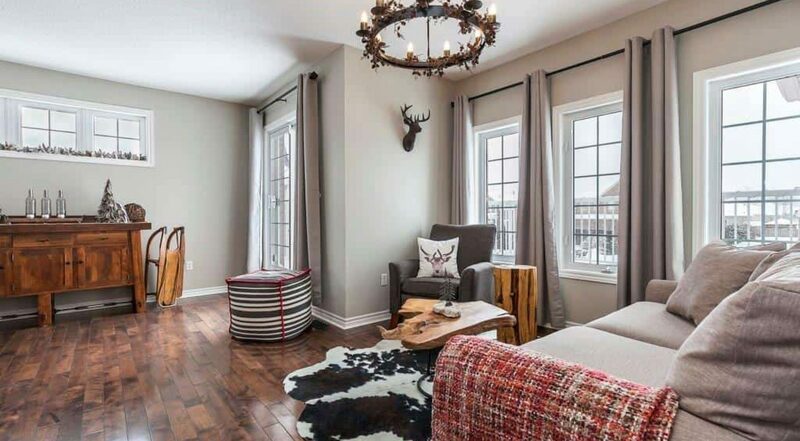 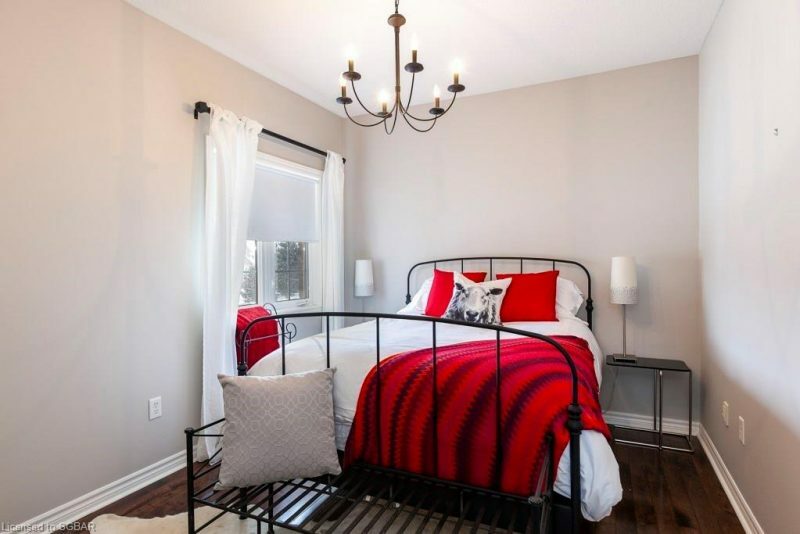 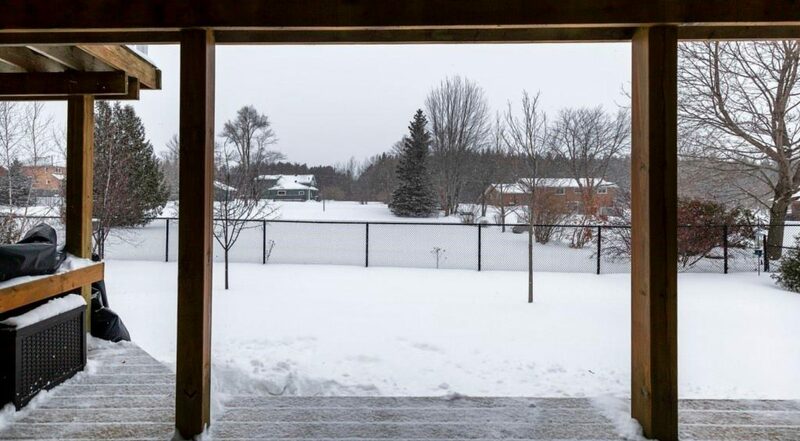 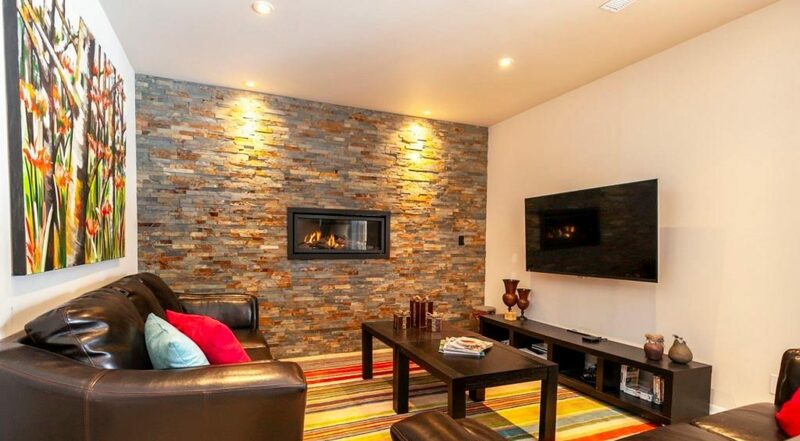 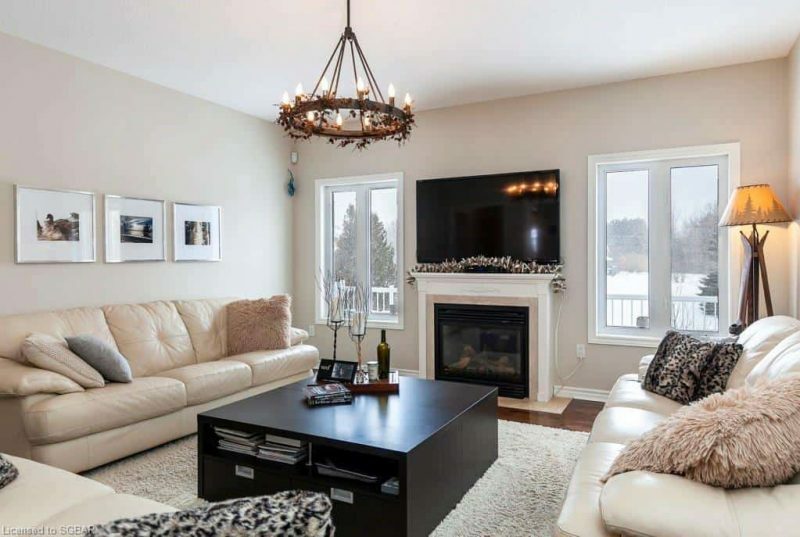 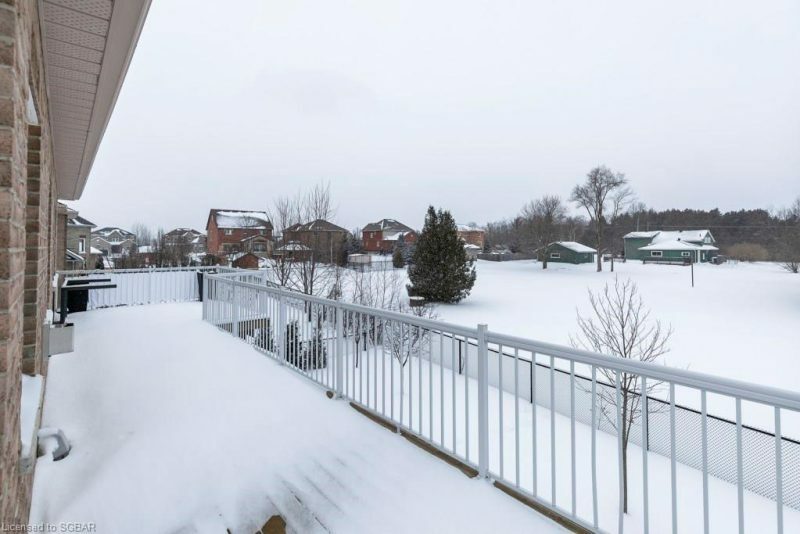 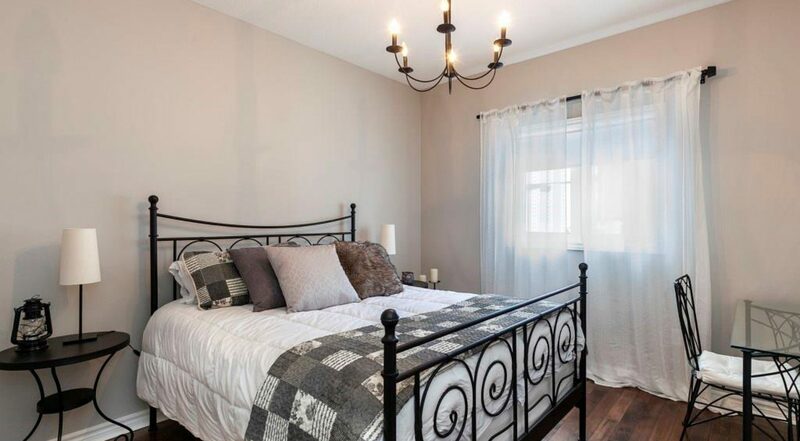 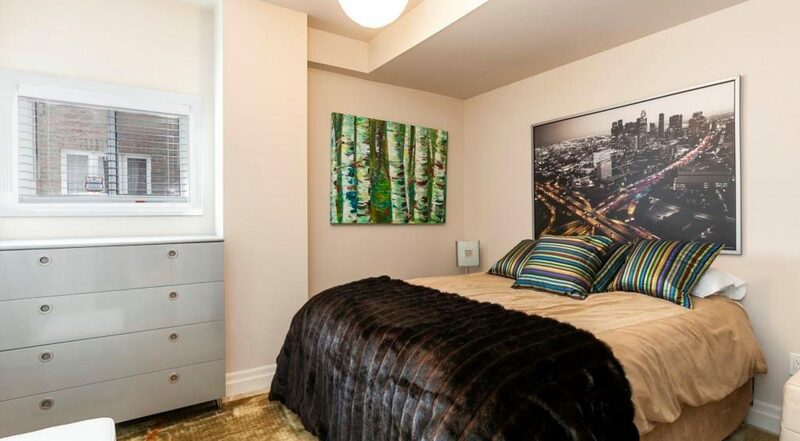 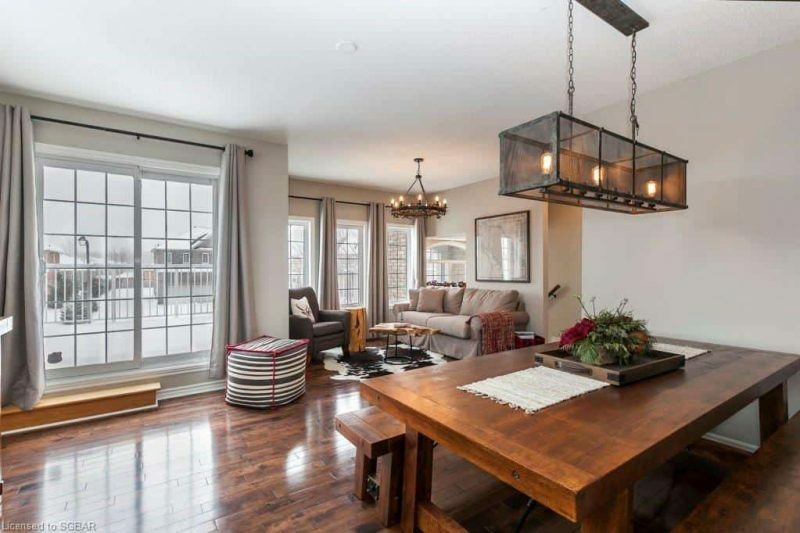 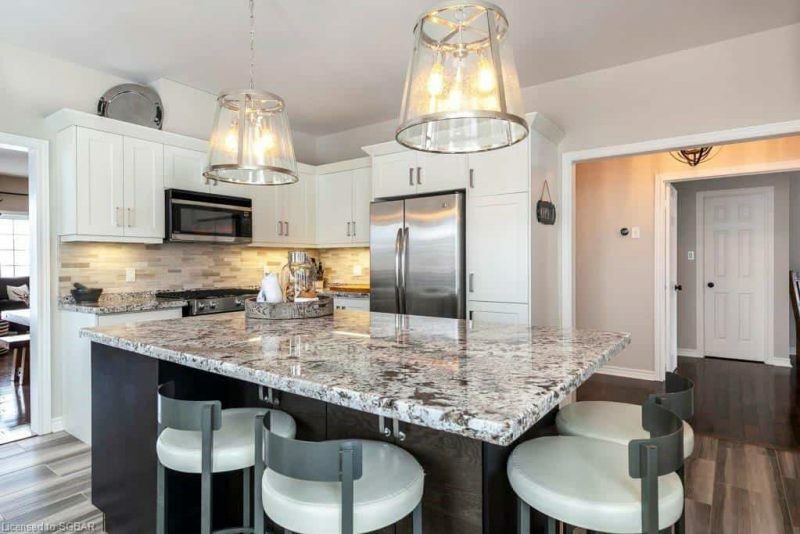 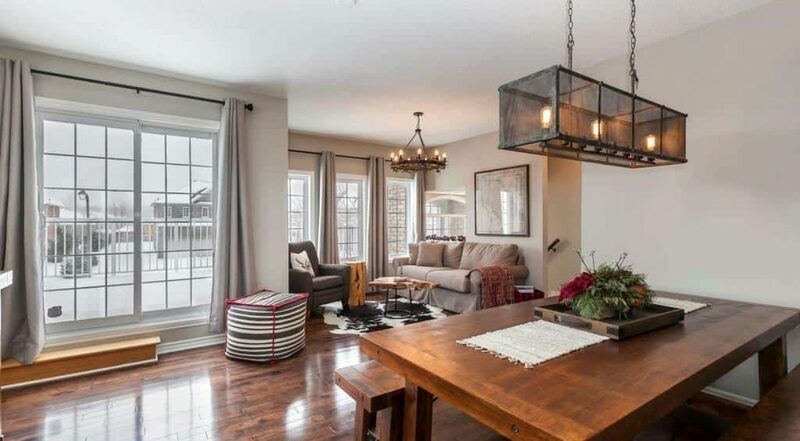 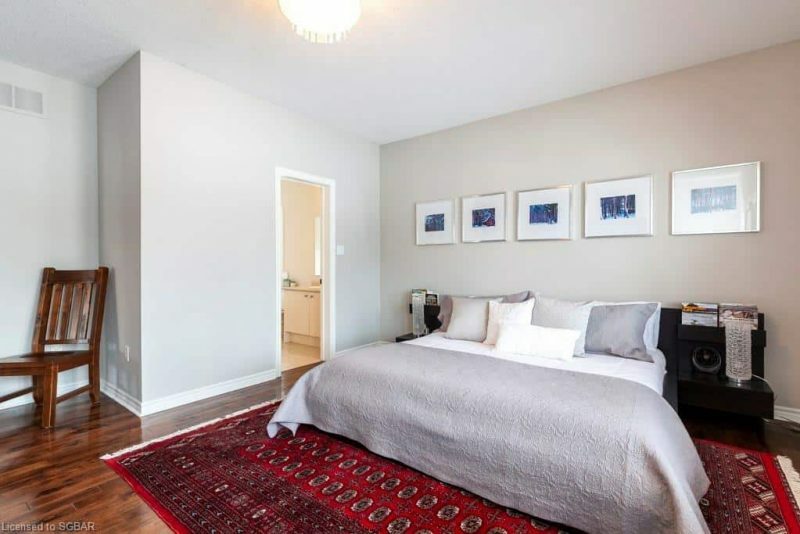 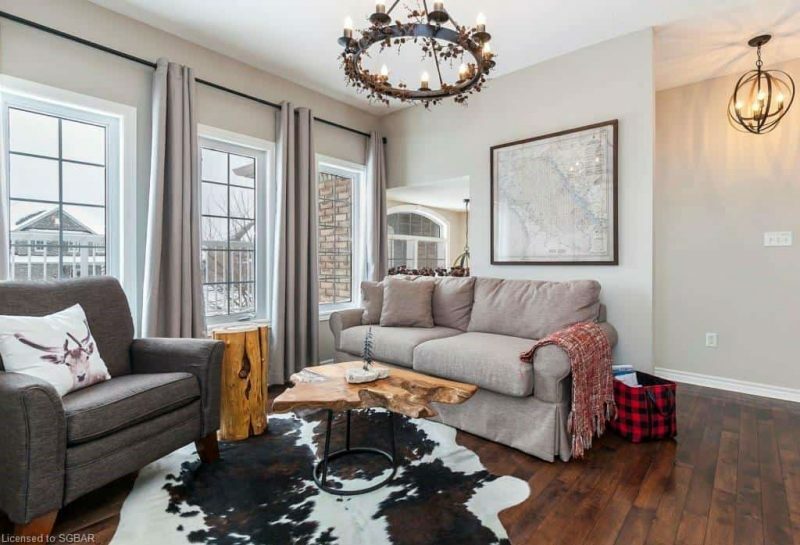 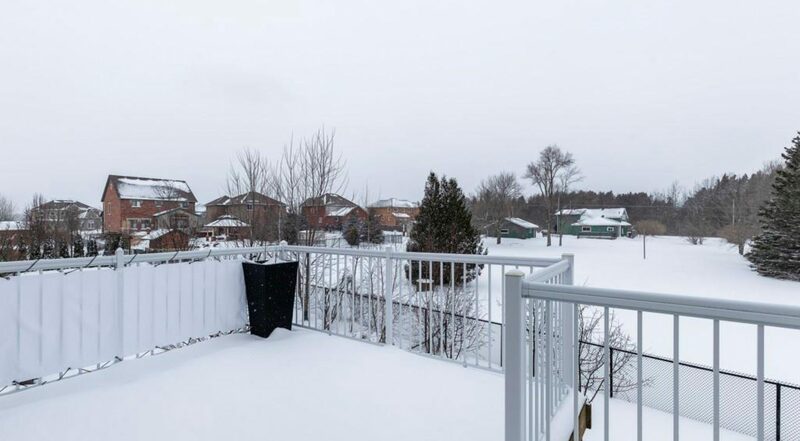 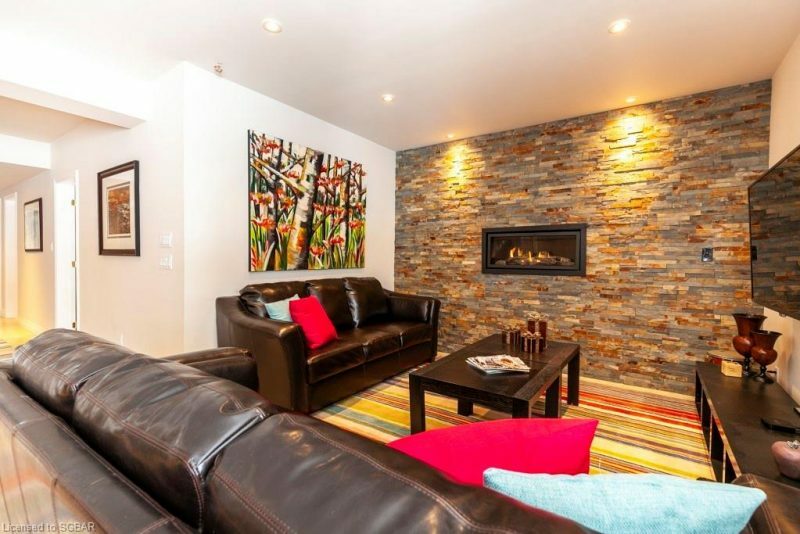 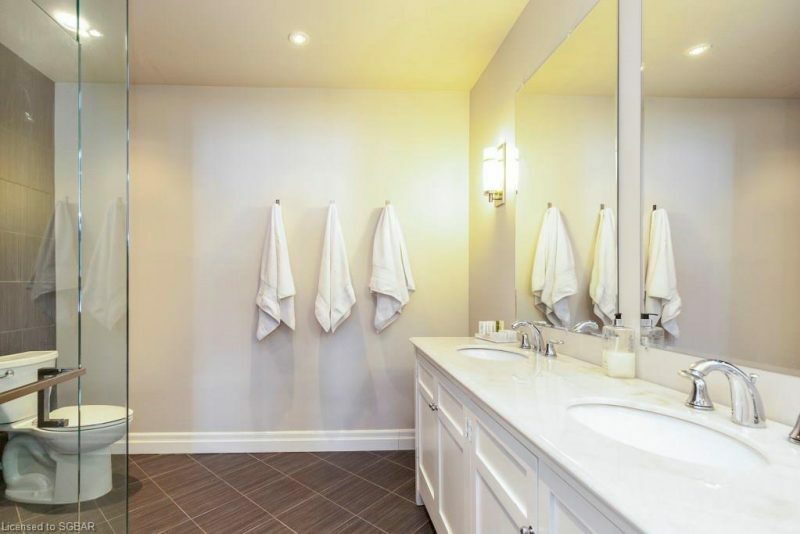 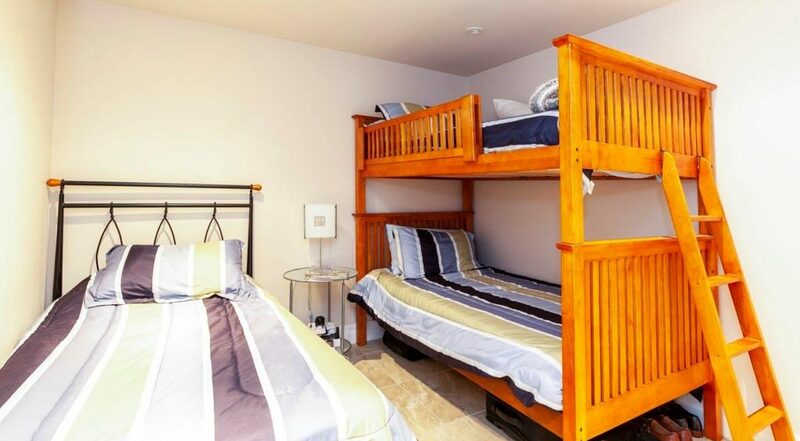 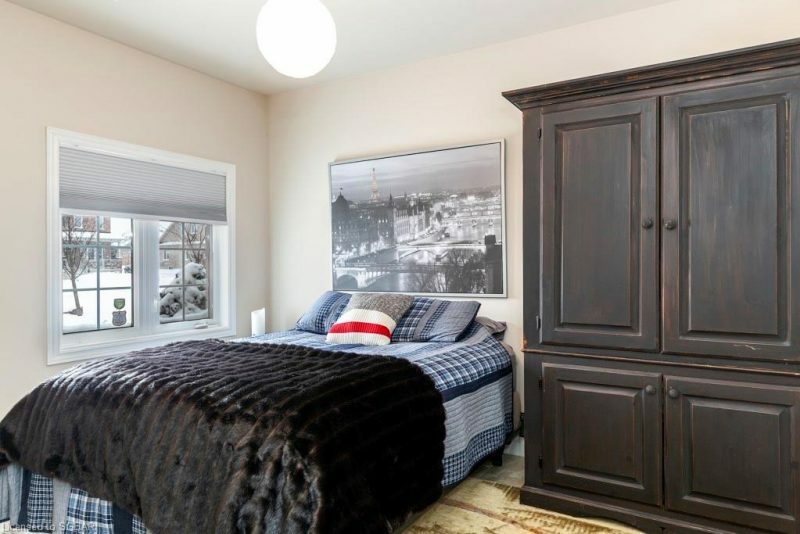 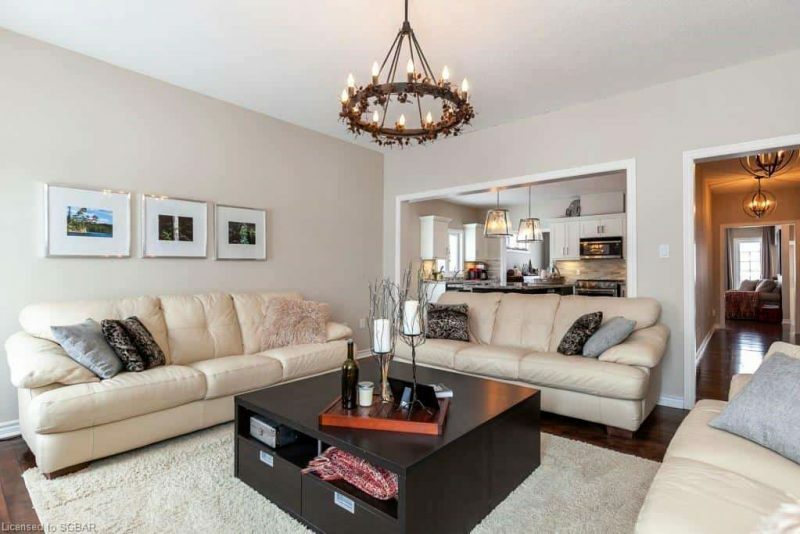 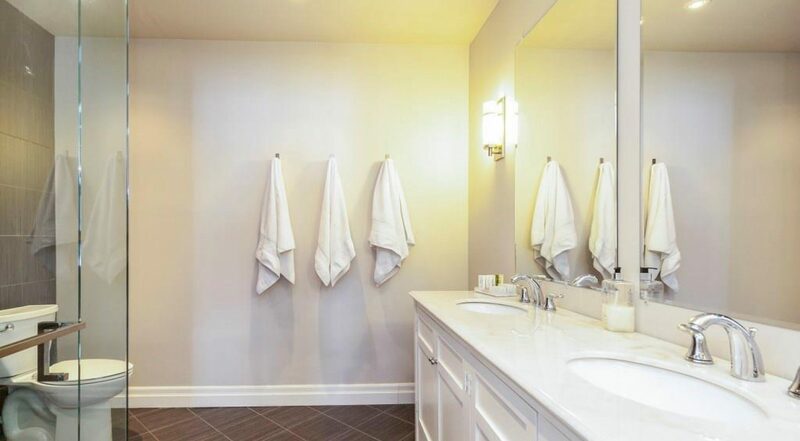 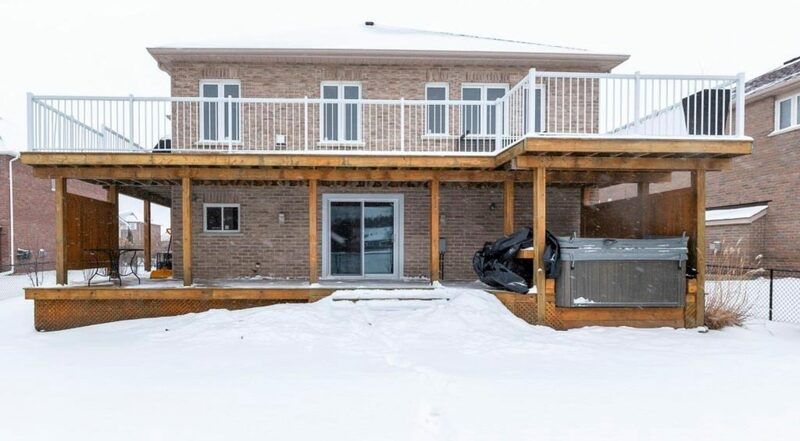 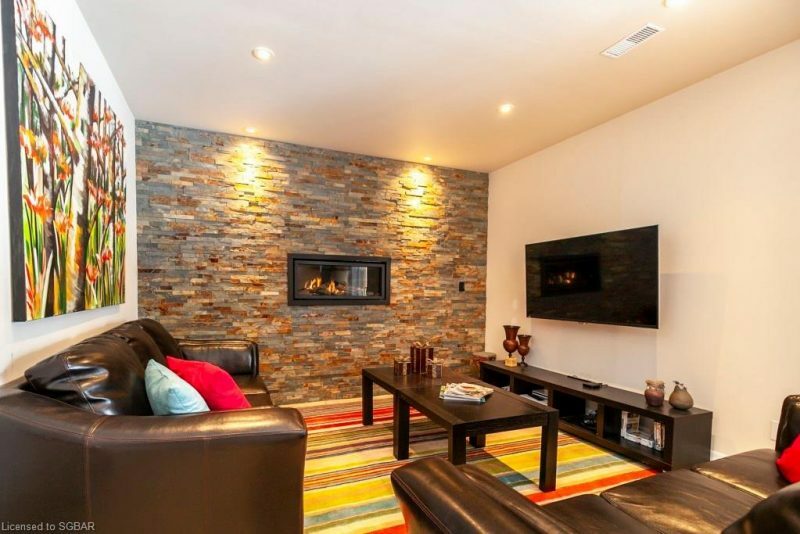 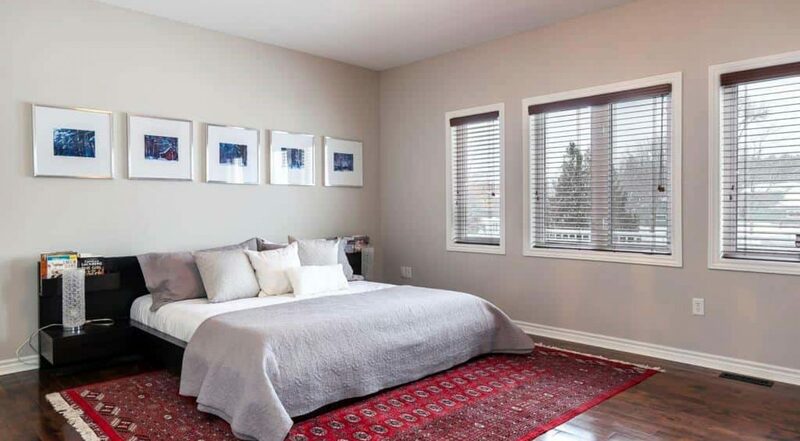 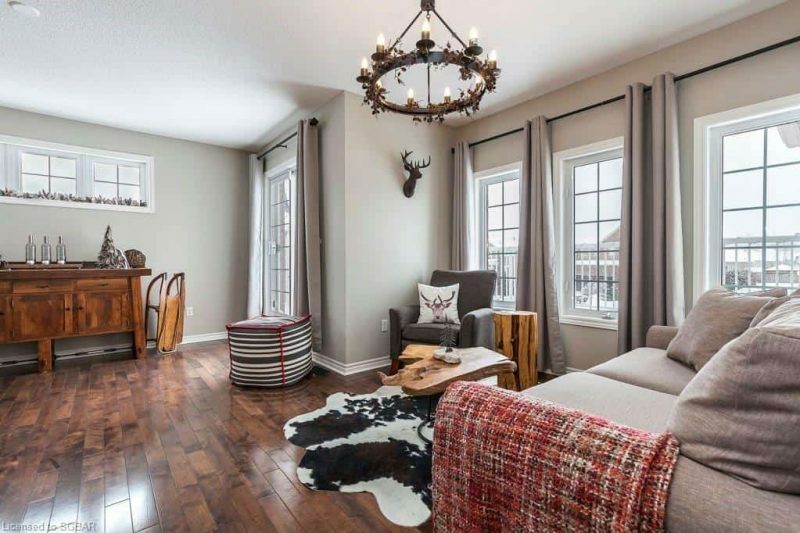 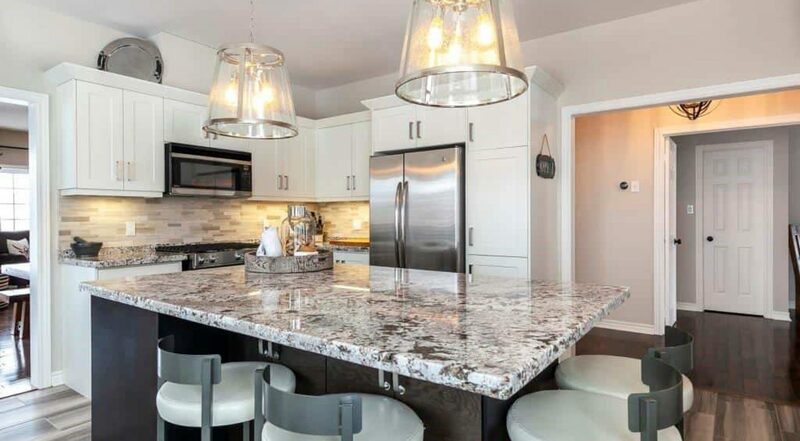 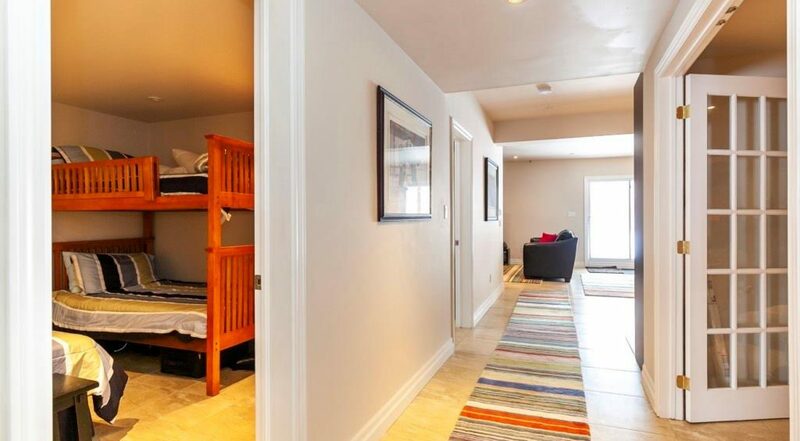 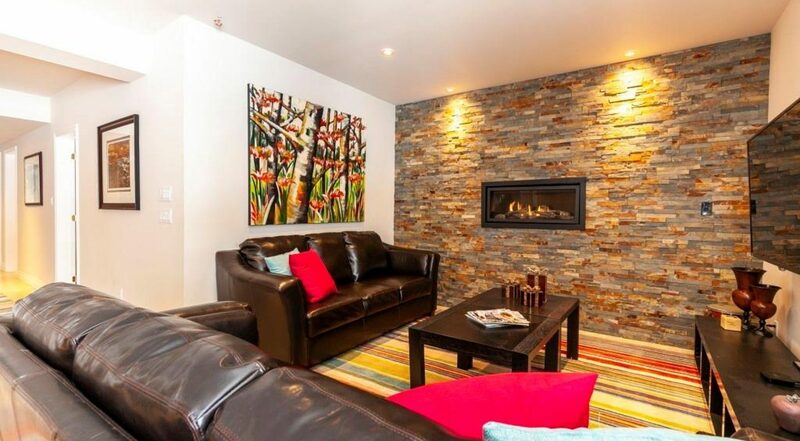 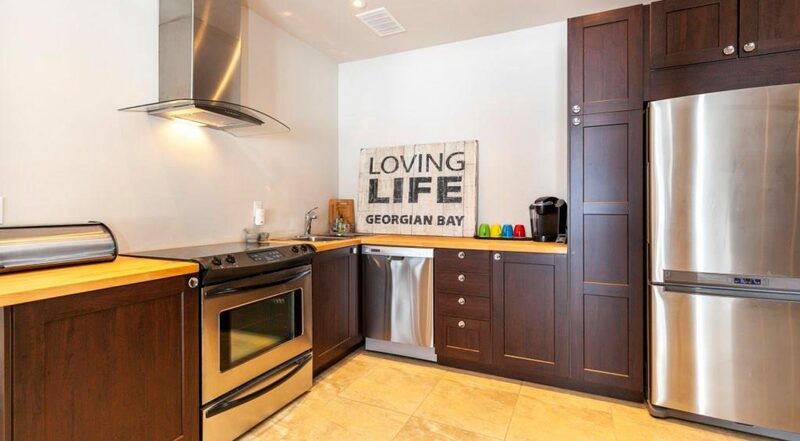 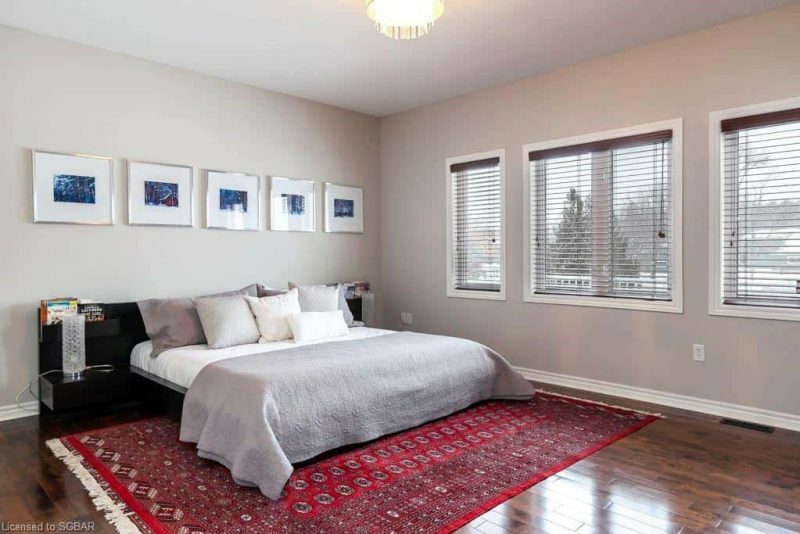 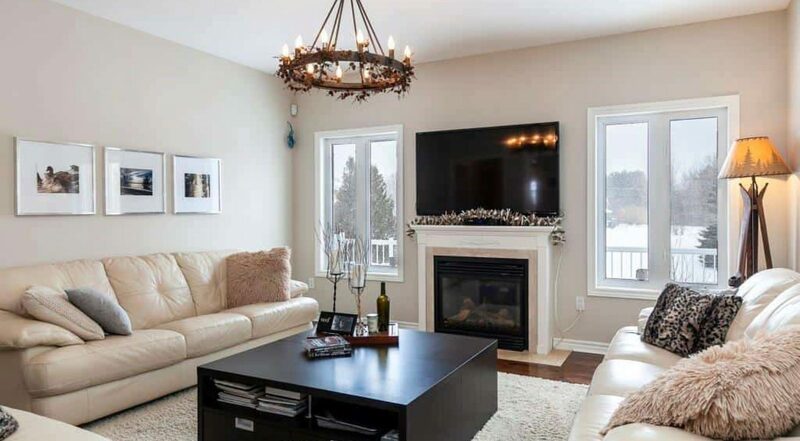 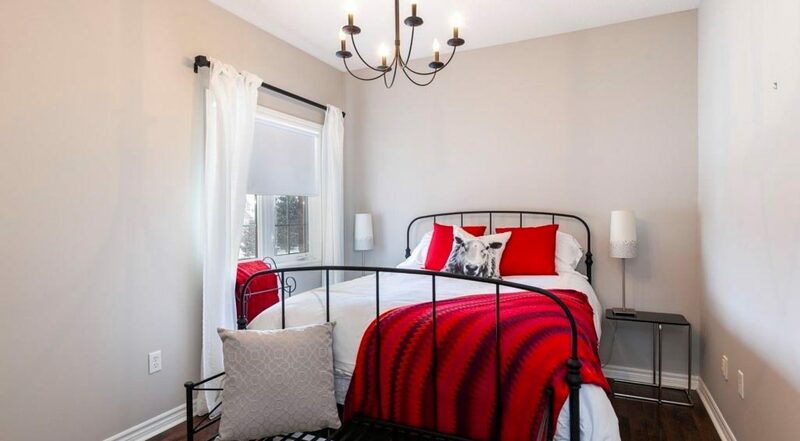 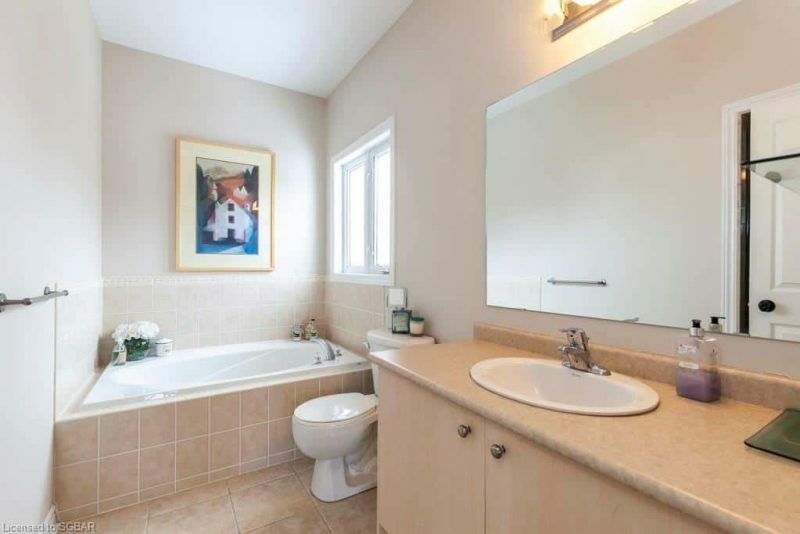 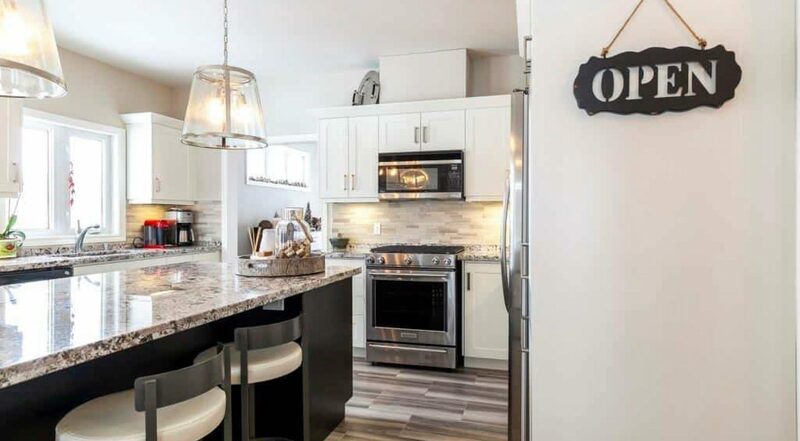 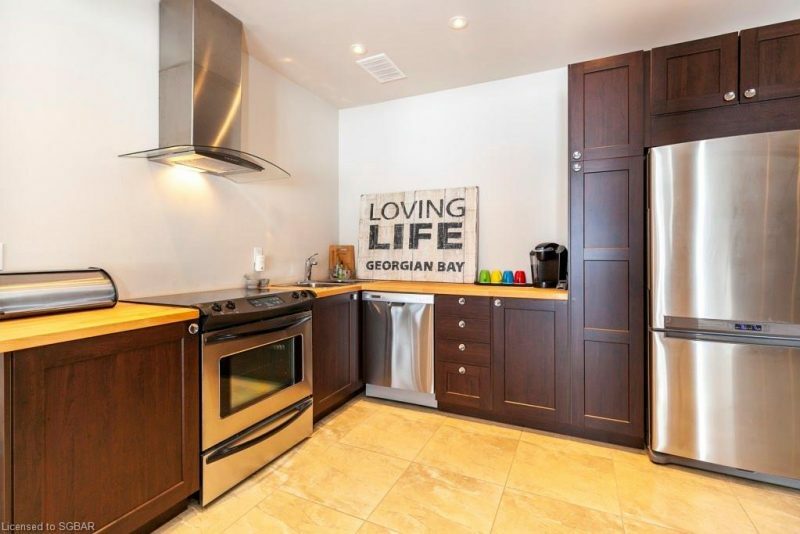 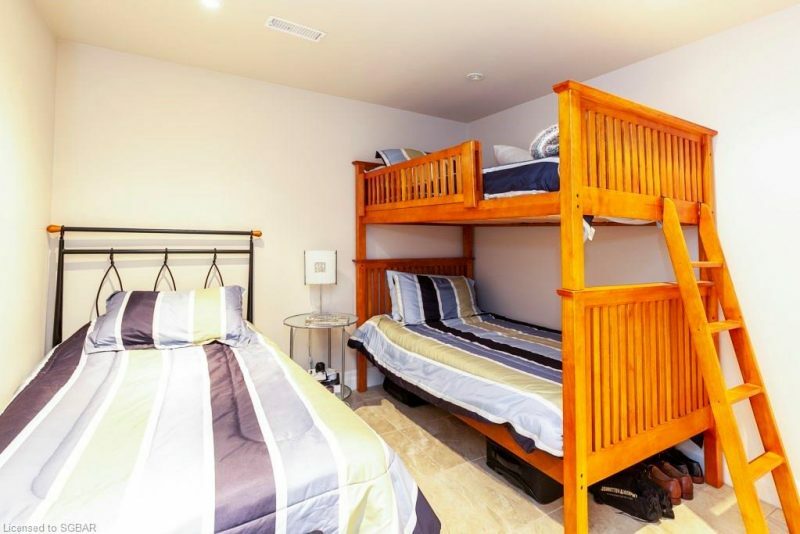 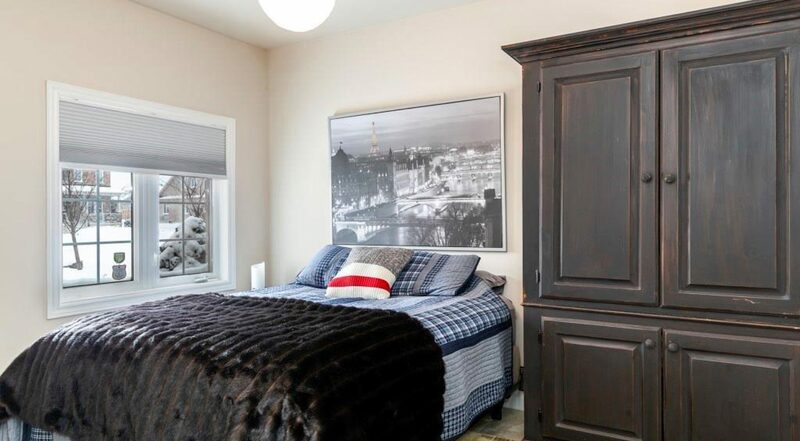 Located within minutes to skiing, trail system, local parks, Georgian Bay and downtown Collingwood. 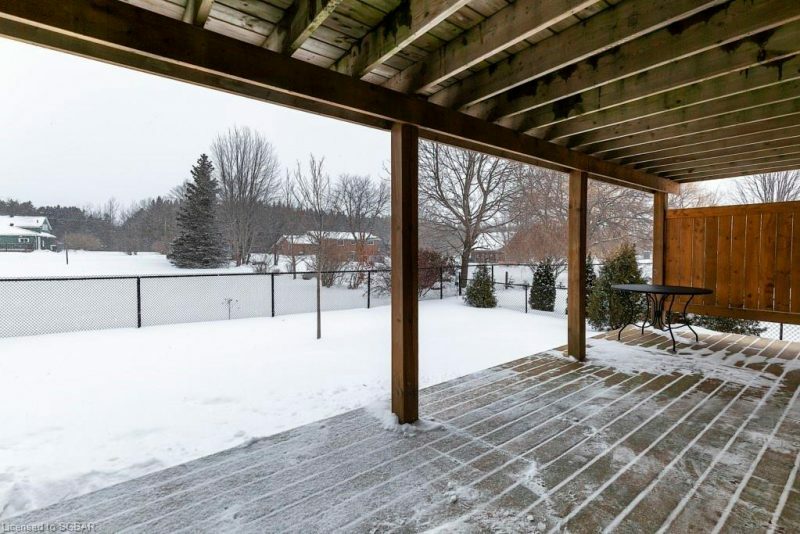 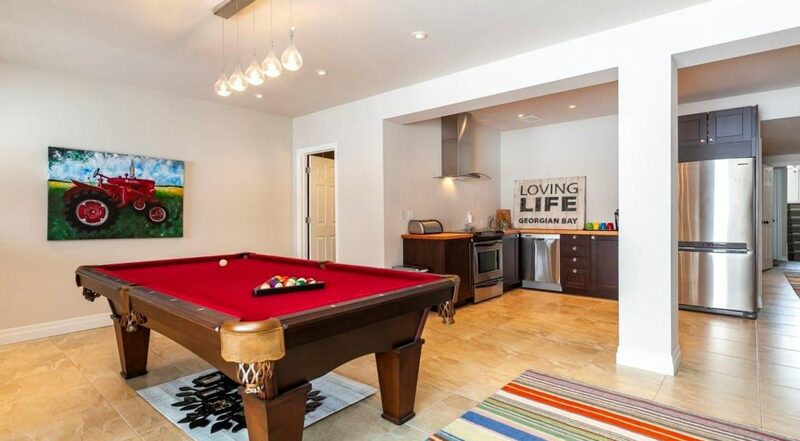 This home is ideal for both full time and recreational living.